“In the country of the blind, the one-eyed man is king” repeats in Chen Fangyuan’s mind after he finds himself trapped in a valley holding a community of people for whom a disease eliminated their vision many generations before and no longer have a concept of sight. Chen Fangyuan quickly finds that these people have developed their other senses to compensate for their lack of sight. His insistence that he can see causes the entire community to believe he is crazy. With no way out, Chen Fangyuan begins to accept his fate until one day the village doctors believe they now understand what is the cause of his insanity…those useless round objects in his eye sockets. 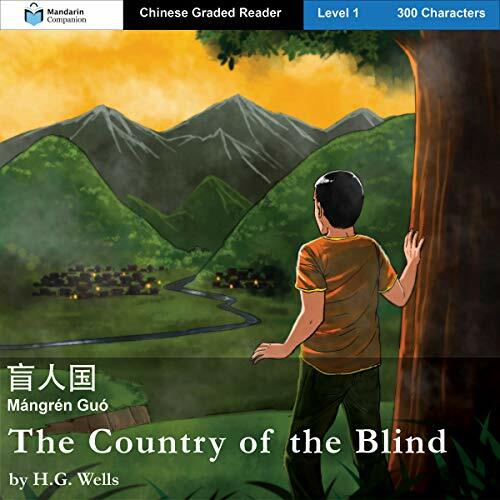 Mandarin Companion is a series of easy-to-digest novels in Chinese that are fun to listen to and proven to accelerate language learning. Every book in the Mandarin Companion series is carefully written to use characters, words, and grammar that a learner is likely to know. Please note: This audiobook is in Mandarin Chinese.